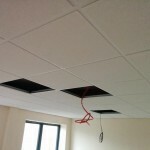 Do you need a suspended ceiling or MF ceiling installed in Worcester? Our ceilings range from budget to performance (including acoustic and fire rated) and vary in size from only a few square metres up to multiple floors of a building. We’d love to hear from you regarding your project, large or small! We fitted a new Rockfon suspended ceiling to the new Worcester Bed Centre showroom. 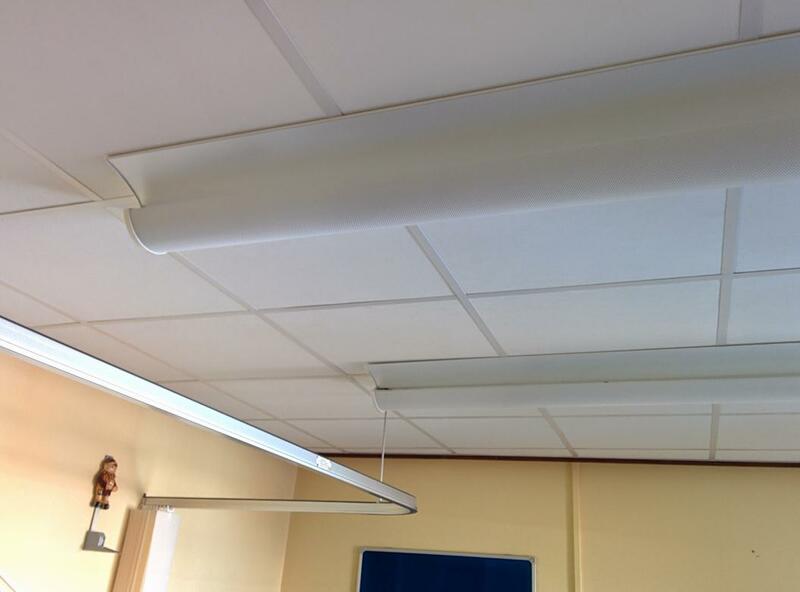 We install suspended ceilings in and throughout the Worcester City and Worcestershire County (plus further afield!) area. We are an experienced ceiling contractor and are well versed in installing a wide range of ceiling systems from varying different manufacturers. We have been installing ceilings throughout the country for over 30 years now – and we are reliable, offer a quality finish, with a high level of service (and we’ll take away our rubbish and won’t leave any mess!). For some further information on our ceiling installation services, you can look at our main suspended ceiling page. Suspended ceiling to a Worcester City Centre shop unit. Installing a new grid ceiling to the shop including some small repairs to an existing ceiling and replacing ceiling tiles. Carrying out fire rated plasterboard ceiling installation to a basement. Ceilings to a large office block. 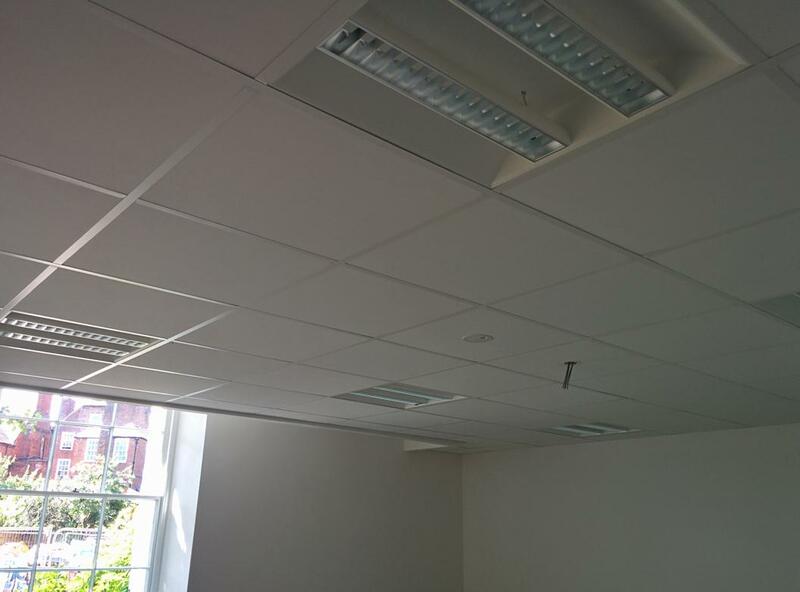 Installing office ceilings over two floors as part of a refurbishment to an existing block and its car park. Fitting a fire rated ceiling to the underside of a mezzanine floor. 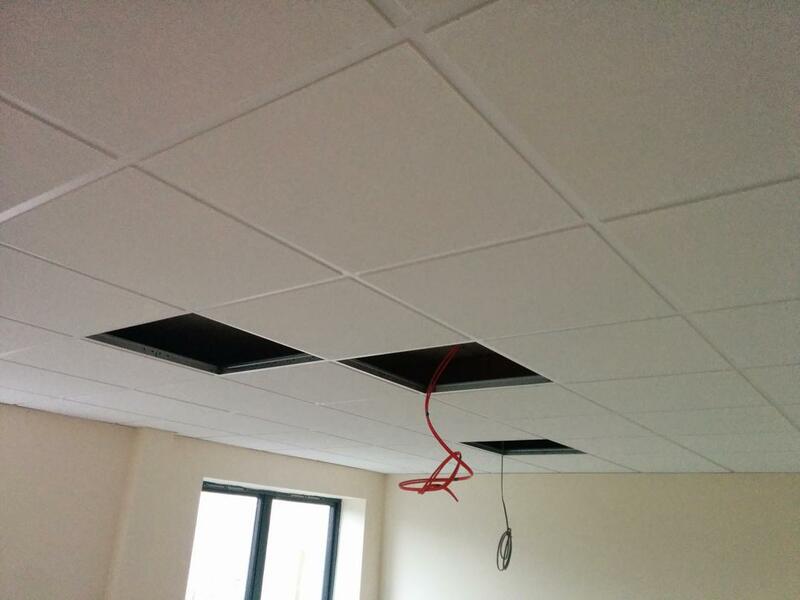 As part of works to a unit in Blackpole Industrial Estate we fitted new suspended ceilings. We installed a 600×600 Rockfon ceiling to the new Worcester Bed Centre showroom. Shop ceilings – To help cover pipework and old soffits, or to provide a fire rating. 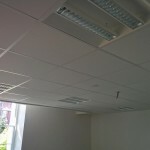 Office ceilings – To help with acoustics and allow services to run above the ceiling. 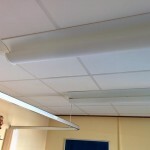 Schools and classroom ceilings – Education spec acoustic ceilings and tiles into school or college classrooms or halls. Industrial Units – Converting unused space into offices or multi use areas. Medical – We can install hygienic ceilings. Mezzanine Floors – fire rated ceilings and perimeters to new areas. If you would like a competitive quote for a suspended ceiling please contact us today. We are also able to offer help with office partitioning works if required: we’re well versed in a wide range of partitioning systems and can offer any other required interiors trades (such electrics, air conditioning, decorations or flooring for example). Our ceiling projects vary in size from small offices and kitchens, up to numerous ceilings covering multiple floors of a building. If you would like us to quote you today for a local ceiling in Worcester City or elsewhere in the Worcestershire County (01905) please click on the contact us button on this page or call us.